Our video-based training is only available to clients who have purchased the group package. The videos are an easy to follow, effective and enjoyable method of providing consistent training to your group leaders. 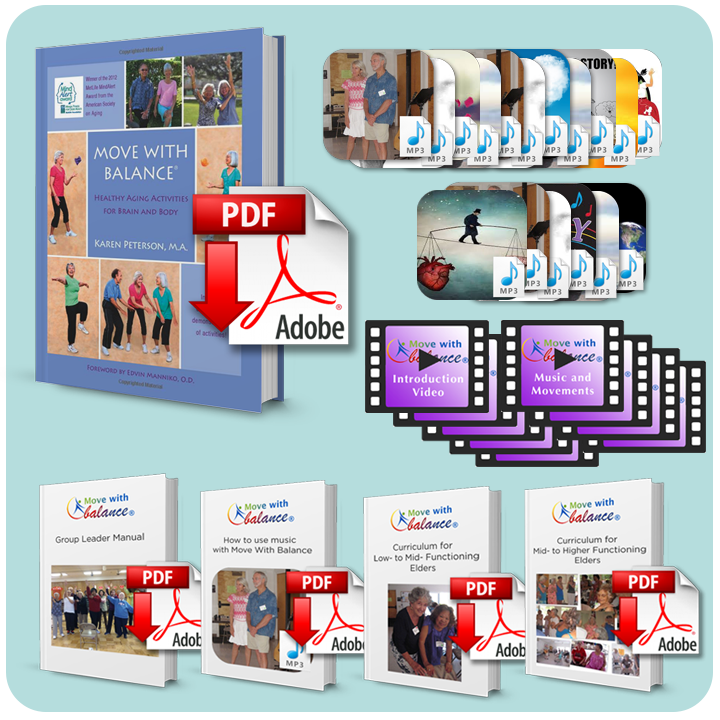 Our introductory video gives an overview of Move With Balance®. As a Group Leader, you will have so much fun teaching MWB because it is so adaptable to every senior’s ability. As a Caregiver, you will have so much fun doing the activities because your clients will respond and look forward to your coming. You can get the whole family involved. As an individual user, you will have so much fun doing the activities. All of you will be amazed at how easy it is to use the book. All of you will be amazed at the results. 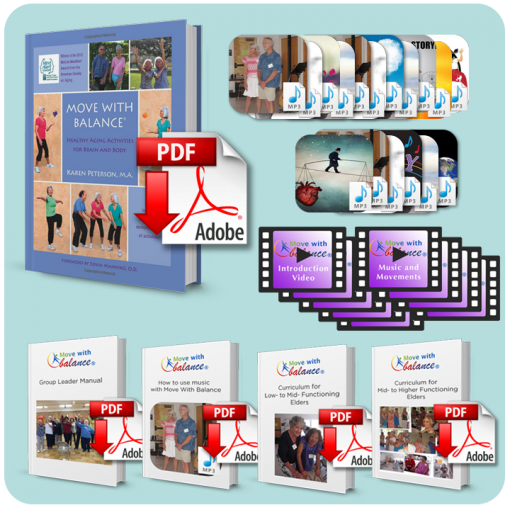 It’s best if you have a copy of “Move With Balance®: Healthy Ageing Activities for Brain and Body” as you watch each training video. The Music manual includes the lyrics for all the songs, and explains how and when we use the music. Bill Fuller has written original songs for Move With Balance® that have become our trademark theme songs, and are used in every class. 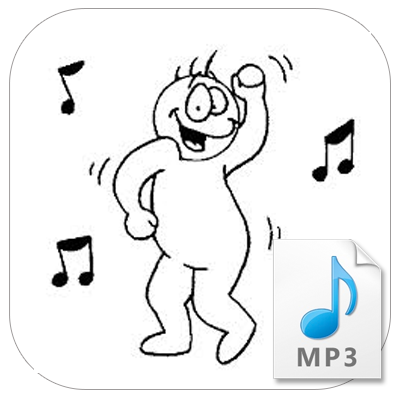 We have taken “oldies”, old familiar tunes and have added fun, snappy lyrics. All the music is carefully integrated into the activities. The manual explains which songs go with which Move with Balance® movements. The seniors love to move and sing along. This manual includes lesson plans, curriculum and music for each of the ten 1.5 hour weekly sessions. 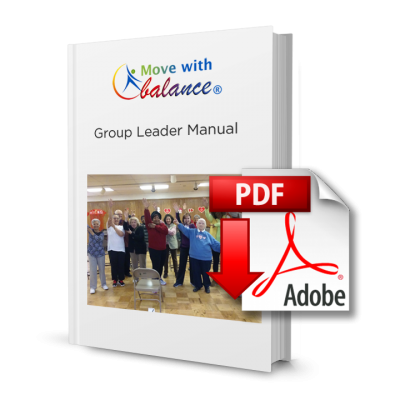 In addition, this manual includes an Addendum to the original Move With Balance® book, which contains new, exciting exercises that are not in the book, but are presented in the same manner as the book—the WHY and HOW we do the activities. This manual contains similar information to the manual for low-to mid- functioning elders except the content is targeted at seniors. 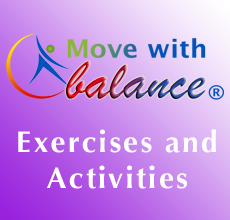 There are demos of the 10 original songs and 7 oldies to use with the Move with Balance® activities in the store. Evaluating outcomes is very important. Four independent evaluations and one Cost/Benefit Analysis were performed. An evidence-based study, conducted by Lorrin Pang MD, Maui District Health Officer for the State of Hawai‘i, was published in the November 2013 issue of the “Hawaii Journal of Medicine and Public Health”. Dr Pang states that “the efficacy of the Move With Balance program to prevent falls is about 66%”. 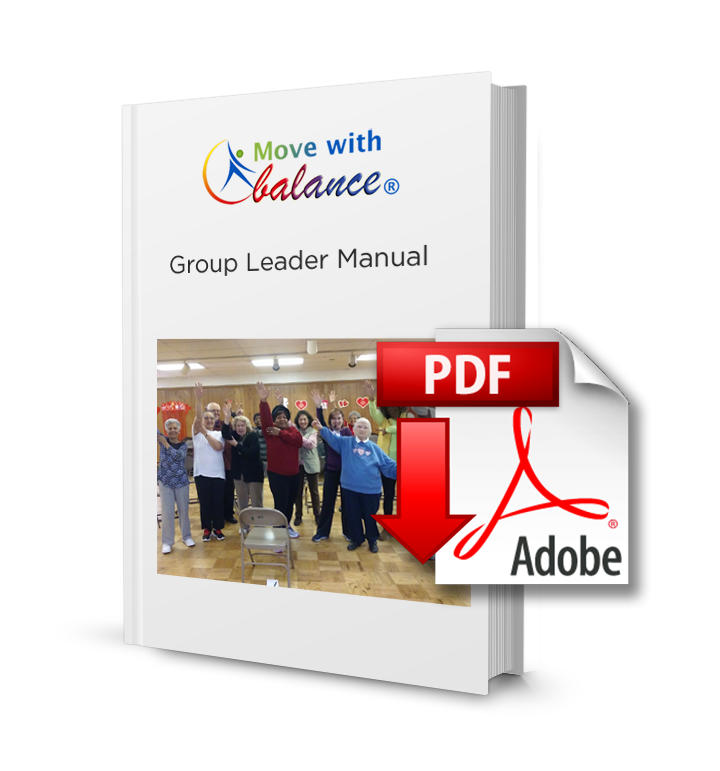 The Move With Balance® webinar is a upgraded powerpoint, more like video. The state of Maryland requested we make this webinar for their Area Offices on Aging. Karen Peterson, founder of Move With Balance®; William Fuller, musician; Lorrin Pang MD, Maui District Health Officer; and Kristin Mill, epidemiologist with the Hawaii Department of Health speak on their areas of expertise on the webinar. We have two versions, 44 minutes and 25 minutes. The long version is complete; the short version has less on program evaluation. The webinar gives you a very clear understanding of the program. An Area Agencies on Aging can share these webinars with other AAA’s in their state. Departments of health can share these webinars with prospective health practitioners.